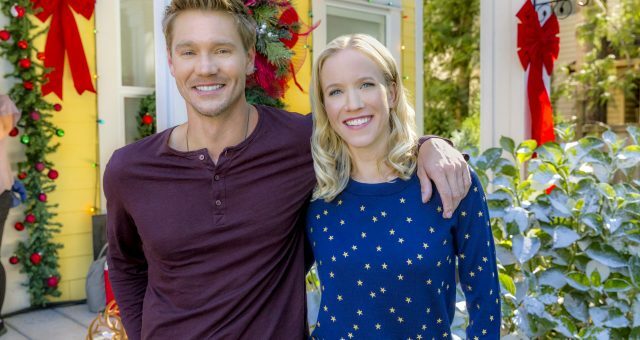 Hallmark Channel is celebrating the Christmas and holiday season in a big way, by lining up a slew of Christmas-themed movies to be aired in the coming weeks! One such movie is A Shoe Addict’s Christmas, which will air on November 25, 2018. It’s about a young woman whose life isn’t turning out the way she wanted, until an unexpected encounter changes everything! Catch it this weekend, on Sunday night. Christmas is approaching, and just like every year, Hallmark Channel is pulling out Christmas movies from its vault like a magician pulling out rabbits from their hat! They’re all set to premiere their new film, A Shoe Addict’s Christmas, at 8:00 p.m. EST on Sunday night, November 25, 2018. It’s the story of a young woman who is a bit disillusioned with her life, but things change massively when someone unexpected comes on the scene. 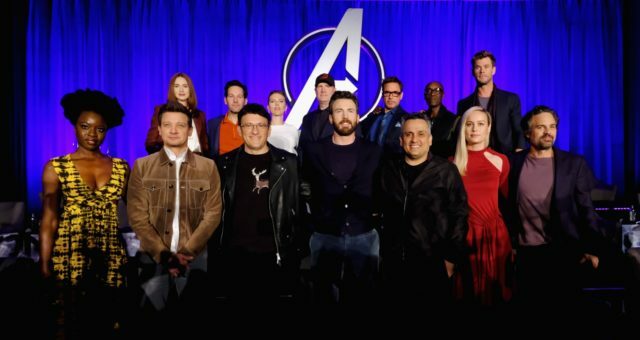 Here are a few details about the movie’s plot and cast. Noelle (Candace Cameron Bure) finds herself in a quandary as Christmas approaches, as her life is anything but okay! She finds that love is missing in her life, she doesn’t have a good relationship with her father, and her career is far from what she had dreamed of. She works in a department store, and on a snowy Christmas Eve, she finds herself locked in by mistake while staying late. Noelle has resigned herself to spending the night in the store when, out of nowhere, an unorthodox woman appears in the shoe department. This woman tells Noelle that she is her guardian angel. Suddenly, Noelle is transported into her past Christmases…the present and the probable future ones, as well. 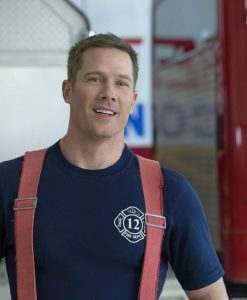 Noelle finds out that she must forge a working relationship with her new neighbor, a handsome firefighter who loves Christmas, to plan the annual Christmas Charity Gala. Now that Noelle’s life is full of joyful possibilities, will she gather the courage to take new risks and discover the true spirit of Christmas? Will Noelle realize, at last, that she is her main obstacle to living a fulfilling life? You’ll have to watch and see if she finds that truly elusive thing called love that she has yearned for all her life, and if this Christmas will mark a turning point in her life so that all her dreams come true. 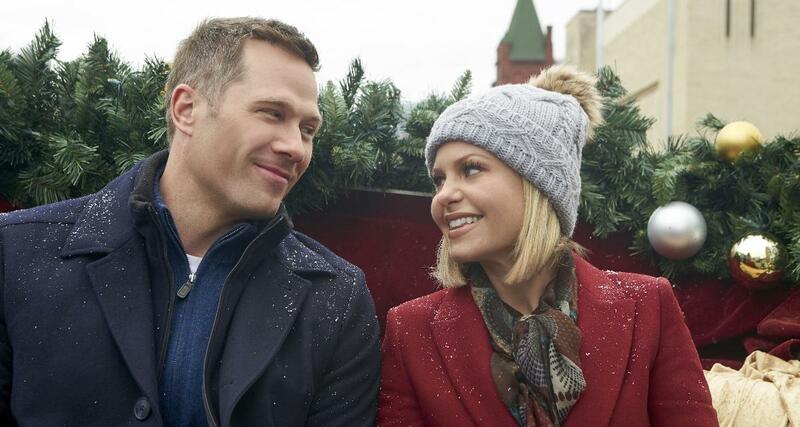 The film stars actors like Candace Cameron Bure, Luke Macfarlane, and Jean Smart in leading roles. Born on April 6, 1976, in Panorama City, Los Angeles, California, Bure’s age is 42. Bure is an American actor, producer, author, and former talk show co-host, best known for her role as D.J. Tanner in Full House and later again on Fuller House. She is also famous for appearing in several Christmas films on the Hallmark Channel over the years. She is primarily a TV actress, having worked in many TV series such as St. Elsewhere, Growing Pains, Cybill, Boy Meets World, That’s So Raven, Make It or Break It, and The Neighbors. She’s a favorite with people who love TV films and has appeared in a host of them, too, like I Saw What You Did, Camp Cucamonga, Kidz in the Wood, She Cried No, Moonlight and Mistletoe, The Heart of Christmas, Let It Snow, A Christmas Detour, and Switched for Christmas. Bure is also a published author; she’s penned several books like Reshaping It All: Motivation for Physical and Spiritual Fitness, Balancing It All: My Story of Juggling Priorities and Purpose, and Dancing Through Life: Steps of Courage and Conviction. Born on January 19, 1980, in London, Ontario, Canada, Macfarlane’s age is 38. Macfarlane is an actor who has achieved fame with his roles in the drama series Brothers & Sisters and the science fiction series Killjoys. Macfarlane has acted in TV series like Tanner on Tanner, Over There, Iron Road, Satisfaction, and Supergirl. 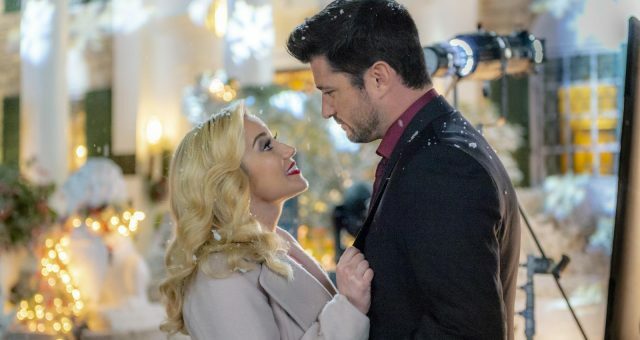 He, too, seems to be a Hallmark Channel favorite, having worked in TV films like Christmas Land, The Mistletoe Promise, The Birthday Wish, and Karen Kingsbury’s Maggie’s Christmas Miracle. Macfarlane has a passion for acting, and he has given full vent to his talent by appearing in theater productions like Where Do We Live?, The Busy World is Hushed, The Jazz Age, The Normal Heart, Reverberation, and Big Night. 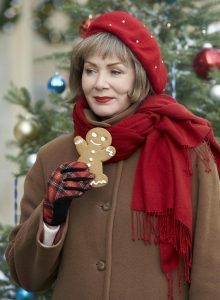 Born on September 13, 1951, in Seattle, Washington, Jean Smart’s age is 67. Smart is an American actress who began her career by acting in regional theater in the Pacific Northwest. She took an interest in theater at a young age when she was still a student at the Ballard High School in Seattle and enrolled in their drama program. Smart has had an active career in films, TV series, and theater, and she’s garnered a slew of awards, including three Emmy Awards for her work in shows like Frasier and Samantha Who? Some of the TV series she has appeared in are Teachers Only, Designing Women, High Society, The District, Kim Possible, 24, Harry’s Law, Fargo, and Legion. She has also acted in films such as The Brady Bunch Movie, Guinevere, Disney’s The Kid, Sweet Home Alabama, I Heart Huckabees, Hope Springs, The Accountant, Life Itself, and A Simple Flavor. Unlike many female actors of her age, Smart is still very busy in work and has consistently proved herself to be an actress of vigor and talent. Make sure that you keep Sunday night free for your date with A Shoe Addict’s Christmas this weekend. 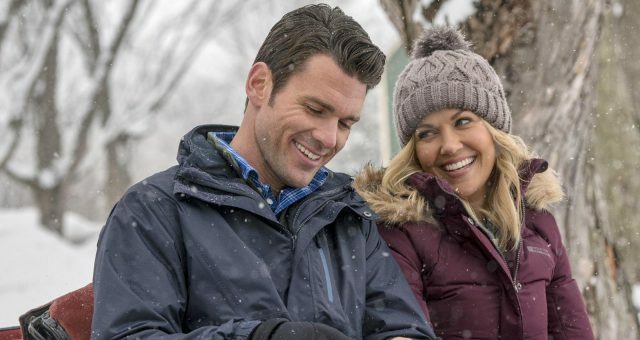 The movie will air at 8:00 p.m. EST on November 25, 2018, on the Hallmark Channel. It’s a magical tale of hope and belief winning the day, fueled by the joyous spirit of Christmas. You should definitely watch it!